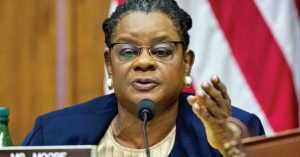 Democratic U.S. Rep. Gwen Moore says she has cancer and it’s in remission. The 67-year-old Moore announced Tuesday, January 29, 2019, during a congressional committee hearing that she has been battling small cell lymphoma for the past 10 months. Moore said she decided to announce that her cancer was in remission to remind members of the House Ways and Means Committee that she is a living example of the value of essential health benefits insurance coverage. Moore has represented Milwaukee in Congress since 2005. Prior to that she served in the Wisconsin state legislature for 16 years. Project 1 VOICE 1 Play 1 Day is Set!